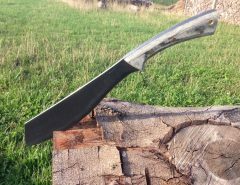 At the moment kukri’s are the most popular survival machetes. 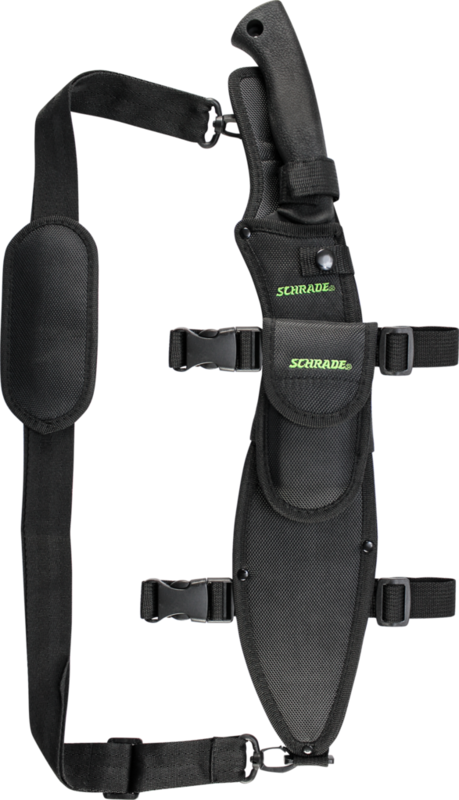 It could be that it’s due to the fact that the Gurkhas used them so effectively in battle or that they’re used in so many survival shows. One of the massive benefits of kukri’s is that you get the benefit of knife and an axe. 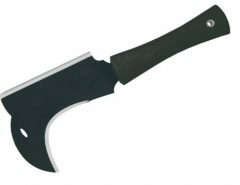 The way the blade is angled and the way the blade is meatier close to the tip give it almost hatchet like performance when it comes to chopping tasks. It can also be used as a knife for finer tasks. In fact, the kukri is a really popular survival knife. 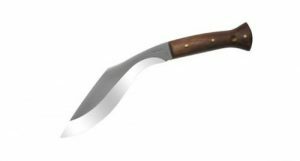 The kukri was created in Nepal to have an inward curved blade, that is similar to a machete and was meant to be used as a tool as well as a weapon. 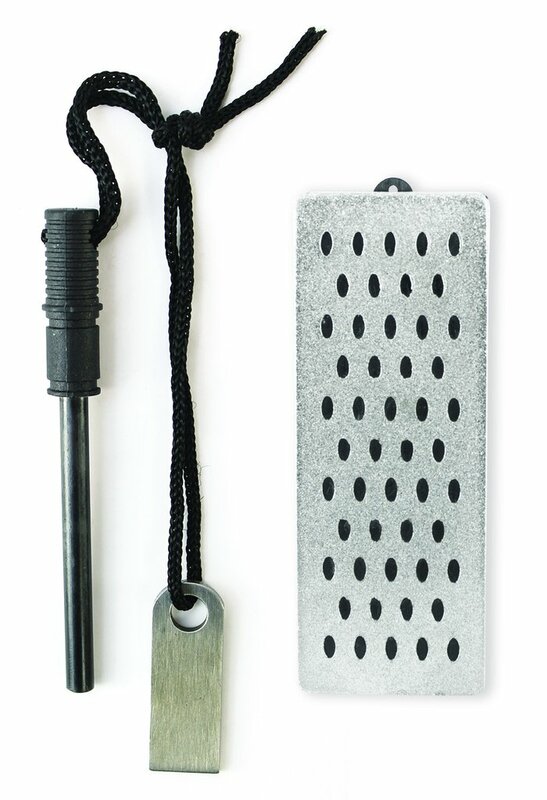 Traditionally it was just a blade to be used by the Nepalese people as a utility knife. Now it has become a major part of the Nepalese army, part of the Royal Gurkha Rifles for the British army, Gorkha regiments of the Indian army, and even as part of the Assam rifles as well as through most Gurkha armies all over the world. The kukri is often times called the Gurkha blade or knife. The Kukri is also part of heraldry and is used in rituals such as weddings. 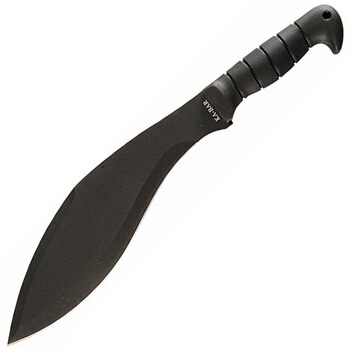 Although there are researchers that state that the Kukri is based on European weapons that were brought to South Asia by Alexander the Great – source – http://www.m4040.com/Survival/Ghurka/History%20of%20the%20Ghurka%20Kukri.htm. The truth is that the history of the kukri dates back to the domestic sickle and the bent stick that was used in prehistoric times that was used for hunting and then one-on-one fighting. 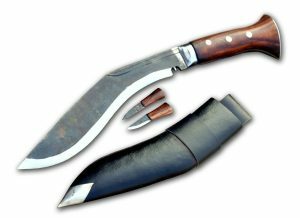 Whenever the East India Company had conflict of the Gorkha kingdom, that is when the Kukri became known to the western world. It then gained a lot of recognition in the Dracula by Bram Stoker in 1897. Especially when it was described by Mina in the story that Dracula’s throat was cut by Jonathan Harker’s kukri. The Gurkha armies were issued two kukri’s. The first was the ceremonial blade while the second one was for everyday and battle use. It contained to gain fame from the Gurkha war and then in World War I and World War II. These blades were used during training by the British Commonwealth and US troops who were training in India like the Merrill Marauders. According to the Times of India, On September 2, 2010 Bishnu Shrestha who happened to be a retired Gurkha soldier, just had a kukri and defeated 40 bandits who attacked a passenger train that he was on. He killed 3 bandits, wounded 8 and the rest flee. Although he claims that he wasn’t that successful just lucky. The story was also picked up by the art of manliness. The kukri was basically designed for chopping. The shape of the kukri does vary from being really curved to partially straight. The dimensions vary as well and it does depend on the intended task and the originating region where it was created on how it will be produced. It could be around 18 inches long and may weigh around 2 pounds. That is just for the general use kukri. Larger examples are rarely this light and are often a lot longer and used more at ceremonies than anything else besides being a really awesome decoration. 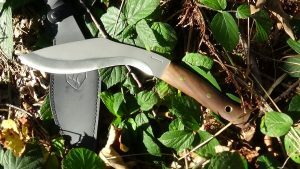 The kukri is a really cool knife that has a variety of uses and unique history that is full of it being mainly being an everyday tool to being part of a soldier’s equipment. It has also seen a lot of war. If you want a blade that will make you proud, this is the way to go. 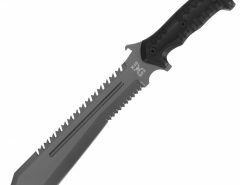 Ka Bar are known for their knives so it makes sense that they would also make great machetes and this model is no exception. Check out this page for my Ka Bar Kukri review. To visit the official Ka Bar site for this kukri – https://www.kabar.com/knives/detail/11. This knife was used by Alan Kay, the winner of Alone Season one. This kukri is shorter than most kukri’s which means it’s easier to use for finer tasks. It has virtually the same chopping power as the longer kukri’s because it’s heavy, just under 2 pounds. 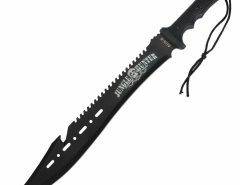 You can read my Heavy Duty Kukri machete here. This blade is great. It’s made in Nepal so it’s as authentic as you’re going to get. The only issue I have with this blade is I had issues with the handle shrinking because the wood wasn’t treated properly. You can fix it or have someone fix it for you if it happens to you but that’s not the point, when you pay good money for an item you don’t expect to be having to fix up parts. Check out my full review here. It’s not as good as the models above but it’s still a good option for the budget conscious. The performance difference between the absolute best kukri’s and this model really isn’t all that great. Check out my Schrade SCHKM1 review. 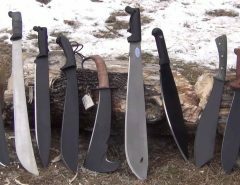 If you like kukri’s, you might be interested in a tactical machete, tactical kukri or a combat machete.